How do you, as a congregation, care for your pastors? Pastors are tired, yet joyful; discouraged, yet constantly refreshed; and they have one of the most joyful, rewarding, and refining work. But how do and should congregational members care for their pastors—even associate pastors or staff? It was during my time in Seminary I was introduced to this idea. How are we to nurture and care for our pastors? I read a chapter, later turned into a small pamphlet, entitled Praying for Sunday: You, Your Pastor, and Your Next Sermon. Little did I know how great an affect this pamphlet would have on my praying life. It is a highly practical book that provides various ways to pray for yourself prior to listening to a sermon, how to pray for your pastor, how to pray for the sermon preparation, and more. Praying for your pastors is one way to care for them. Caring for those in the pastoral office has to be found somewhere in the Scriptures, and for a pastor, it may be one of the more awkward practices to teach. However, being out of official pastoral ministry for a few years, it makes it a little easier to discuss. For a number of years, I reflected upon this need. Here are a few ideas on how you, as a congregational member, can care for your pastors. I don’t mean to make an ecclesiological distinction here, because an elder is a shepherd is a pastor is an overseer. Therefore there will be overlap to show honor to all elders and your preaching/shepherding elders. One day I was struck, during my first year as a pastor, about the qualifications of a pastor. There is a vast difference between studying these qualifications and then realizing one’s position of leadership depends upon embodying such characteristics. I began praying for myself while reading these qualifications. Such prayers were quickly extended for my fellow co-laboring pastor. Soon we organized a prayer ministry to pray for our main preaching pastor. We attempted to instill two principles of prayer in this group: how to pray biblically and the qualifications of our pastor. Our pastors need prayer daily, not only are they bombarded with menial administrative tasks stealing their time, they are assaulted with temptation of pride, laziness, sexual thoughts, etc. and need to find constant victory over sin. God’s people ought to pray for our pastors and for them to stay qualified. It is unfortunate to hear stories from previous pastors who have become disqualified from ministry. 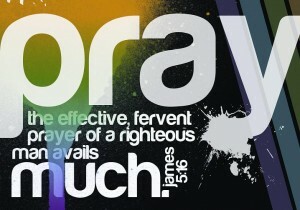 Furthermore, not only pray for them, but also seek to pray with them. Seek them out and ask to pray with them. Their hearts are as heavy as yours and there is no greater joy than knowing the people of God are praying for you. On average, a pastor will spend anywhere to 10–25 hours on sermon preparation. I sometimes note the lack of awareness when talking to others who are misinformed about the duties of the pastor. I frequently heard, “All you do is work two days: Wednesday night and Sunday morning.” Let’s just take, for example, the average pastor. They will most likely preach 2–3 sermons a week. That should take around 20-45 hours for sermon prep alone for any given week. I’ll tell you what they are doing all day long, prepping for their 30 min sermon, along with counseling, hospital visitation, etc. Let’s think about this from a positive perspective. If your pastor is an expositional preacher, take the time to come prepared to hear his sermon. If your pastor is preaching through a topic series, contact the offices to gain access to the forthcoming topics and passages. Study the text prior to coming to church and think of questions to ask. You have a pastor who has spent 20 hours, at least, studying the text of Scripture, and is a source of wisdom. A shepherd finds great joy in teaching and explaining the Word of God. Ask him about his sermon. Ask him what he learned out of it. Ask him a question you had when listening. Ask him how it affects theology and the formation of biblical theology. Try to begin a conversation about the text of Scripture or the sermon; for in doing so, he will be encouraged and you will be refined from his labors. When I was in the pastoral office, one of the greatest joys I had was when my sheep would talk to me about their refinement. It was a joy to hear what they were learning and how the Lord was growing them. It encouraged my heart greatly. When you share with your pastor how the Lord grows you, it will rejuvenate him. Notice Paul’s perspective on hearing from his previous congregations. A pastor makes no money—well most pastors make no money. Chances are, your pastor may qualify for food stamps, but he’d never tell you. 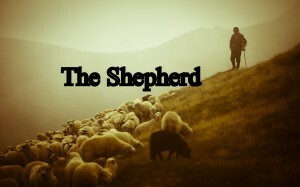 He does not shepherd the flock of God for sordid gain (1 Pet 5.1–4Open in Logos Bible Software (if available)). A God-fearing undershepherd desires to preach, disciple, and minister to the flock of God. However, if your pastor is not being paid well, his mind is, most likely, divided. date-nightThe flock of God ought to make sure their pastors are financially stable. 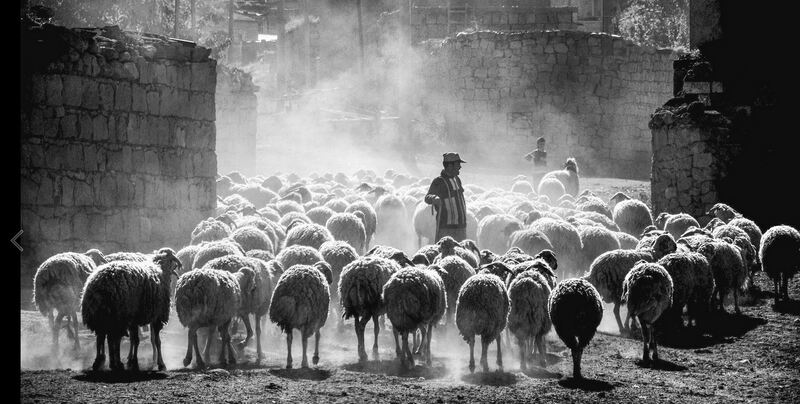 The local body combines their financial resources; they give to their pastor in order to free their pastor to shepherd without concern of their poverty. Make sure your pastor is taken care of financially. A pastor with 5 kids should be getting paid more than the one with 2 kids, etc. Another idea, watch their kids and give them a date night. Provide them with a family outing on your dime—do it anonymously. Be creative in your financial care. The pastor’s wife has a difficult role in the church. 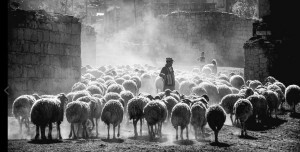 A good shepherd and leader does not burden his wife with problems, pastoral weight, discouragements, or the overtly negative aspects of church ministry. As a pastor, ONE OF THE MOST DISCOURAGING things I encountered was how hard I worked at protecting my wife from the negative aspects of ministry. I wanted her to take joy in the labors of church life. I, however, would be asked by her about an issue arising in the church. “How’d you hear about that?” I’d ask. I would come to find out someone in the church informed her. Caring for your pastor is also protecting what the pastor is trying to do for his wife—keeping her out of the secret things of the church. I promise you she doesn’t know everything in the church and you will do your pastor a great service by helping him. The second way to be mindful of his wife’s position is to understand her role within the local church. She is exactly like you, a servant of Christ. She is exactly like you, a struggling and discouraged mother. She is exactly like you, a wife who is trying to honor her husband. She is exactly like you, a women who is trying to honor the Lord with her life. The best way to love and care for your pastor is to have realistic expectations of his wife: she is a wife who serves him and the local church, just like you. A tired pastor needs a wonderful wife. A joyful pastor needs a wonderful wife. A discouraged pastor needs a wonderful wife. Therefore, minister and serve his wife as you would serve others in the church body. A pastor is a reader and a lover of books. images-3Take one step into your pastor’s office and take a look around. It most likely is filled with reference works, commentaries, theology books, and a slew of others. My closest friends in the pastoral study were, more or less, dead or 100’s of miles away. I, however, felt closest to them with a pencil in hand. Your pastor’s library may be his greatest inanimate object. Secretly he loves his books and is always trying to find ways to acquire more books so as to help him be a better theologian, exegete, communicator, historian, discipler, counselor, leader, husband, person, etc. Note the particular items that Paul desires as he nears the end of his life. 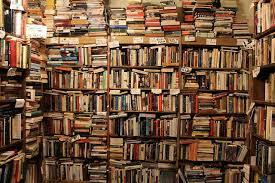 Don’t necessarily buy him books that you are reading or books you think would be helpful for him. I’d suggest doing a bit of digging. What is he preaching on? What is he studying in theology? Is he a biblical language lover? Ask the associate pastor or his close friends outside the church what would be most helpful? Ask your pastor to create an Amazon wish list for times like these. In this way, you will get the most bang for your buck. the-shepherdI, purposely, saved this one for last. Submission to your pastor may be difficult. You will bring joy to your pastor’s heart (and to the overall leadership) if you fall under their leadership. The author makes a direct correlation between one’s obedience and the leader’s joy. Work hard to submit to their leadership because it is God’s physical means of providing spiritual oversight to your soul. It may be helpful also to distinguish the role of the Elders, role of the Pastor, and role of the Deacons (ask your pastor how they are defined in your local setting). Submission is an interesting subject in the church. It may be helpful for to begin a conversation with your pastor, the elders, and others what exactly that looks like for you and your situation. If, however, you find yourself unable to submit, be open and honest about that, communicate with others in your life, and it may be time to leave the church. Either way, begin this conversation with your local church. In what ways are you caring for your pastor? What are other ways you could care for your pastor? Be encouraged to do so and take the time to begin implementing some of these aforementioned points.